South Australia's Limestone Coast beckons to nature-lovers from around the world with its spectacular beaches, stunning cliffs and pristine bushland. 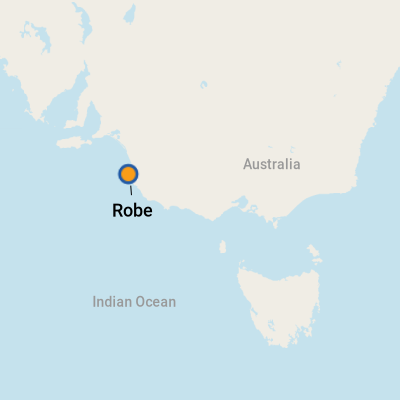 The historic seaside resort town of Robe, about 350 kilometres southeast of Adelaide, has been a draw since the early 19th century, when seafarers and fortune-seekers arrived in pursuit of the great Gold Rush and stayed for the good life. With a day to explore Robe, check out the heritage buildings. Don't miss the Chinese Monument, a tribute to the more than 17,000 Chinese immigrants who made their way through the town during the Gold Rush. Customs House, Cape Dombey Obelisk and the Old Gaol from 1860 each tell chapters of Robe's history. With your history lesson ticked off, proceed to the beautiful beaches and invigorating bushland, or explore the delicious red and white drops of the Robe wine region.